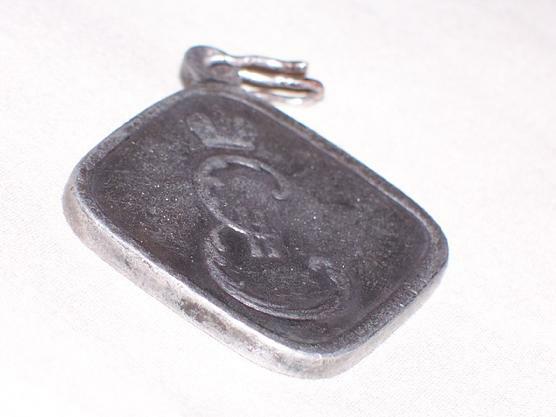 You are looking at a diamond-shaped silver Medal awarded to non-commisioned officers and enlisted men who participated in the capture of Prague, a suburb of Warsaw, Poland, on October 24, 1794. 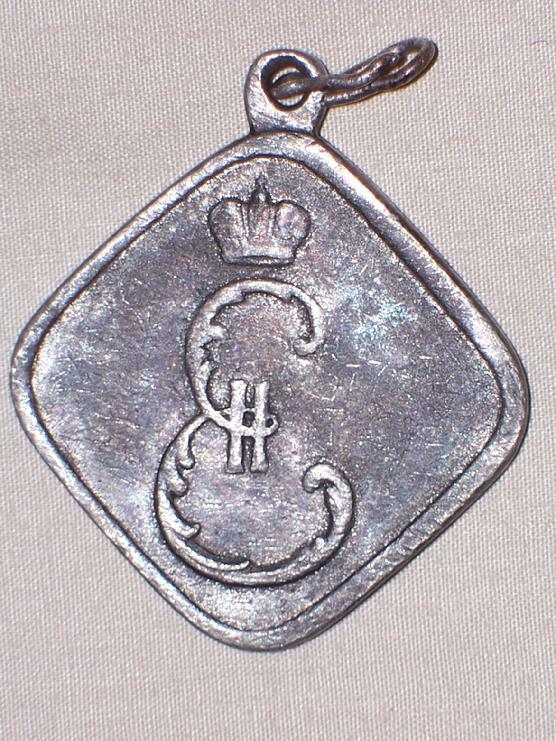 The obverse of the diamond-shaped silver medal shows the crowned cipher of Empress Catherine II. 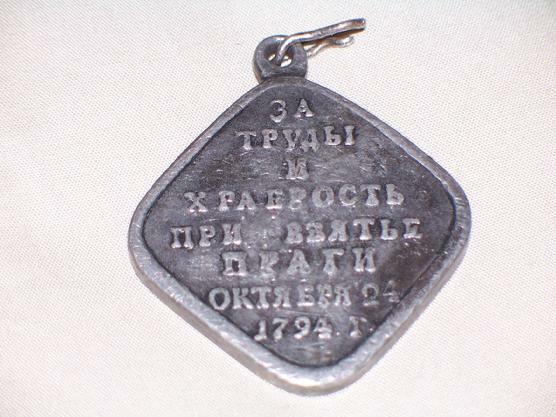 The reverse of the Medal is plain, except for an inscription signifying: "For Efforts and Bravery Shown in the Capture of Praga 24 October 1794". Significant signs of age in good condition. ON SALE PRICE: $ 975.00.